If you are a regular custom ROM flasher you probably already knew, nearly all custom ROMs don't have a Google app installed. This is due to licensing fees. Hence, you must flash Google app package separately. 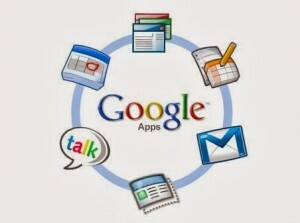 Google Apps aka GApps include apps like Google Play Store, GMail, Gtalk, Google Map, Google Calendar, Google Search, Google Voice, YouTube, Google Sync, Google Backup Transport, Car Home, Google Music, and Google Docs. Having Play Store make our life easy. It helps us to install various apps easily right from play store. That's why its absolutely necessary for us to flash a gapps package after installing a custom ROMs. You must download Google Apps as per your Android version. Copy downloaded gapps zip file to your Android device. Boot into recovery mode. Either with key combination or boot into recovery without key combination. Tap on Install, then browse to the location where you saved the files and tap on the gapps zip file. Now at the bottom of the screen, do a swipe on the Swipe to confirm flash option to begin flashing.